From a small Cambridge firm with a friendly bank manager, to a prized BBC contract... to a rescue by Olivetti. Where did Acorn go wrong? Founder Hermann Hauser tells Wendy M Grossman a story of missed opportunities. Hermann Hauser believes that if he had had just a little more foresight ten years ago, the world would now talk about Acorn compatible rather than IBM compatible computers. 'Looking back, we were so far ahead of anybody else in the industry, including Apple and IBM,' he says. What Acorn missed was the importance of strategic alliances and standards, which is why, when Hauser started his current project, EO's Personal Communicator (reviewed in PCW, February 1993) he went to every major company he could think of. Born in Vienna, Hauser grew up in the Tyrol. He used to come to Cambridge in the summer, starting when he was 16, to learn English. After his first degree at Vienna University he settled in Cambridge to do a PhD, followed by a year's post-doctoral work at the Cavendish Lab. Hauser is one of the founders of EO and its predecessor, the Active Book Company. He was involved in founding IXI, maker of graphical interfaces for Unix among others, in addition to setting up Olivetti's research division. He is probably best known, however, for founding Acorn with Chris Curry in 1978. The company started life as a microcomputer consultancy and its first product, a computer kit, was launched in 1979. The timing was fortuitous. 'It was the same time as Apple in the US, and the market was ripe for an Apple type computer,' he says. But difficult as that kit was for adults, Hauser says it was still easier than the others available. It was also expandable, with video cards or more memory. Part of its success, he says, was due to Roger Wilson who was then an undergraduate student at Cambridge. Wilson showed up one day and said he thought he could build a computer kit that was a lot better than those on the market at the same time. This, Hauser knew, was impossible: no software works correctly the first time. But in the end, they blew the PROM using the code Wilson had supplied--and it worked first time. Hauser continues: 'This guy turned out to be a genius. Together with Steve Ferber he invented the Acorn RISC Machine.' Wilson joined Acorn as soon as he finished his degree. Acorn's next product, the Atom, was given two more unusual features. One was a video interface that let you hook it up to a TV set; the other, which Hauser says was completely unheard of in those days, was a case. This was Chris Curry's marketing flair working. It wasn't long, though, before the fledgling company began to need money. (Even in 1978 you couldn't get very far running a business with 200.) So Hauser went to his local bank and consulted the manager. 'I remember the discussion as if it were yesterday. I asked him if he could lend us some money--if we could have an overdraft. He said: "Oh, good to see these young people start companies. Which college did you go to?" and I said: "Kings, just across the road." "Oh, jolly good," he said. "How much do YOU need?" And I said: "5000." And he said: "Very good. Go away, and come back and tell me how you're getting on." 'I came back a month later and said: "It's all going very well, but we now need 10,000." "Jolly good, go away, have 10,000." This went on for a couple of years, and we impressed him by being in the black at least once during the month. It was a typical overdraft arrangement, and he was very comfortable with that because he saw it--and we had gone to Kings, which he could see from his office. The relationship ended there. One million was beyond the amount he was authorised to lend, and the local office couldn't handle it because the situation didn't obey any of the rules it was familiar with. But Acorn did get its financing. Getting the BBC contract is another story Hauser likes to tell. The BBC had decided about two years earlier that it ought to educate the nation by doing a series of ten programmes on computer literacy. The producers wanted hands-on demonstrations with a computer that people could buy, and they drew up a specification. After two years, when the BBC had failed to get a working prototype from the company it had hoped would build the machine, it opened up the bidding to six different companies. One of the conditions was that the chosen company could produce the 12,000 computers the BBC anticipated the show would sell. The hard part, as always, was the debugging, which they worked on for three days and three nights. Hauser's major contribution during this time was making lots of cups of tea to try and keep everyone going. 'They had to be there at 10am on the Friday morning, and we'd worked all through the night. It was 8am, and this thing didn't work. 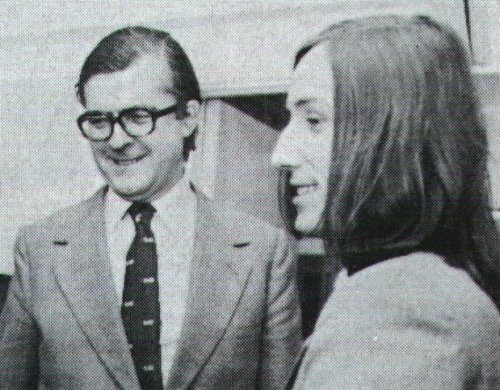 When the BBC arrived and realised Acorn had accomplished in four days what it couldn't get done elsewhere in two years, it got the contract--'despite', says Hauser, 'the ranting and raving of Clive Sinclair'. Even then, says Hauser, Acorn's operating system offered things that are still missing from DOS today. All the parts of the system, including speakers and screen layout, could be controlled by commands. Furthermore, networking was built in. 'Acorn never sold a computer that didn't have a networking connection.' Kids in schools, says Hauser, could sit down and type 'I am Johnny' and be logged into the network. The networking emphasis came from the Cambridge computer lab, where Andy Hopper, later a technical director at Acorn, had invented the Cambridge Ring long before Ethernet. 'The Cambridge Ring was always a lot better than Ethernet,' says Hauser, 'but the Ethernet was standardised. But because it was intrinsically better, it finally got its revenge.' Most of the findings from the Cambridge Ring, he says, have been adopted by what's now known as ATM (asynchronous transfer mode). 'I actually believe that ATM will become the LAN standard, because it's the only one I can see that will elegantly unify all the media you need to transmit within the home, office or wide area, or across the nation or globe. By different media, I mean telephony, TV, cable and computer data.' AT&T has recently announced it is to standardise its high end network on ATM. Acorn was in real trouble: it had commitments to ship some 250,000 unwanted computers. To the rescue came Olivetti, which bought 80% of the stock and is the second largest shareholder today. Hauser became vice president in charge of research for Olivetti. In 1986 he went to Italy for several years, where he supervised the setting up of several new laboratories on the company's behalf. Olivetti bought Acorn, he says, specifically for its technology. By this time it included the Acorn RISC Machine (ARM), which has since been spun off into the separate company ARM Ltd. The ARM chip was part of a policy decision that a computer should be designed on silicon rather than cobbled together out of third party components. This focus, says Hauser, makes Acorn one of a small, select group of genuine computer companies (Apple being the most obvious) that own their own technology from the ground up. 'All the big companies--IBM, Olivetti, Bull-- gave up their birthright. They're not producing computers any more; they're just assembling standard chips, and that's the reason behind the profit margin squeeze they have at the moment. It's like if you're a builder, who originally bought bricks from the brick company and built the house. But what happened in the computer industry was that the prefab people came along and started selling prefab components to the builders, and then they were only allowed to build the houses that the prefab guys gave them components for, so they couldn't build very good houses. If you actually look at the Intel processor architectures before the P5--the 286, 386 and 486--they're some of the worst that have ever been around in the history of the industry. If you ask an academic or anybody who understands anything about microprocessors, they just happen to be incredibly successful because IBM made it a standard. 'We had a 486 in Acorn five years ago: something that had the performance of a 486, consumed one twentieth of the power, and had a million transistors instead of 300,000, taking up one third of the space. There's just no way, if you compare like with like.' Acorn's operating system, of course, never had the 640K limitation of DOS. The ARM was designed by the same people who worked on the first computer kit, and the pattern was the same: it worked sufficiently the first time to be debugged using the system itself. That first chip, Hauser says, had 30,000 transistors. That was the same number as a Z80 or the 6502 that Acorn used in its BBC Micros, but it was twenty times faster. It was also the world's first RISC processor. 'Now, again, we never thought of selling this processor to anybody else. It was only recently that we went out and tried to find some other companies to use it. We were successful with Apple, which has adopted the ARM for its Newton product range, and 3DO, which is now using it as part of a new video standard.' 3DO's backers in this project include Matsushita, AT&T and Time Warner. This was the reason behind spinning ARM off as a separate company: companies would be less likely to use a processor that was owned and being used by a competitor. Acorn holds 46% of the stock. The Active Book Company also intended to use the ARM for its line of personal communicators. Apart from the ARM chip and Hauser himself, he says this company and Acorn had nothing to do with each other. The company was set up in 1988 to exploit pen-based interfaces, which Hauser felt could really make a difference because they're so much easier to use. At the same time, he says: 'We did not want to repeat the Acorn experience, where we created a computer which never really made the big time even though it was much better than anything that was on the market, simply because we didn't even try to talk to other companies. So, with the Active Book Company, I turned it the other way round: I talked to everybody in the industry.' The project really clicked with AT&T, which had something to offer the company that no-one else they talked to did: communications. 'AT&T at that time wanted to get into personal communicators. It decided to do it with RISC technology, its own RISC chip, and there was one company in the world that had done that already.' AT&T wanted to run the project as a start-up company; this is now EO, which acquired Active Book. Hauser gives a lot of credit for EO to Kleiner Perkins, the venture capital firm that pulled together Go! and its Penpoint interface, AT&T, and Active Book into one company. But that's another story. Hermann Hauser is now Chief Technical Officer and Chairman of EO Europe. Scanned in using OCR software and typeset by A. Khattri (aka The Eno) using the nroff typesetting package under SUNOS.